UTC Aerospace Systems provides mission-critical systems that contribute to some of the most significant advances in air, space and imaging technology for military and industrial customers. 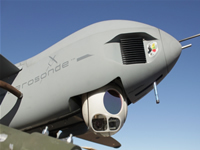 ISR (Intelligence, Surveillance and Reconnaissance) products provide actionable intelligence, improving force protection for troops in the field. The company's sensors have supported strategic intelligence collection on-board the U-2 platform from its inception. UTC Aerospace Systems SYERS-2 Electro-optic/Infra-red multi-spectral sensor is the U.S. Air Force's most advanced real-time long range oblique photographic (LOROP) sensor. The next generation sensor, MS-177, resets the bar by delivering precise identification using high resolution, multi-spectral intelligence - providing situational awareness day or night. 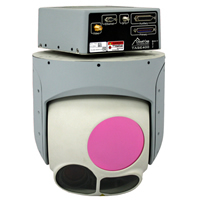 The UTC Aerospace Systems DB110 is an LOROP EO/IR dual-band sensor. This reconnaissance sensor effectively combines visible and infrared imaging. It offers three independent optical fields of view: long range, medium range, and low-altitude direct over flight, as well as multiple operational modes including wide area and line search, pinpoint target, stereo and opportunity targets. The DB110 is in service in a number of countries, notably in the UK's Reconnaissance Air Pod for Tornado (RAPTOR), and has proved of immense value to both UK and allied forces in supporting operations in Afghanistan and Libya. An increasingly important source of intelligence is derived from low-level full motion video (FMV), particularly where this is provided by tactical UAVs flying directly in support of ground troops. UTC Aerospace Systems is leading the market in developing sensor systems and stabilised gimbals suitable for use on small UAVs. To be of value, collected information must be accurately and swiftly analysed and distributed. The company's exploitation suite is widely in use with both NATO and other customers as the core ground station, customised to each customer's specific requirements. A key capability is the intelligence reference library (IRL). The IRL provides an effective cataloguing solution for information management and dissemination, enabling users to store, search and retrieve multi-intelligence primary and secondary data, accessing precisely the data they need as they need it. The IRL is NATO STANAG 4559 and Coalition Shared Database (CSD) compliant. The UTC Aerospace Systems exploitation systems offer the ability to tag imagery, even without metadata, allowing analysts to search large quantities of data very rapidly. Analysed data can also be transmitted over very low bandwidth communications networks, to reach the lowest tactical levels rapidly. 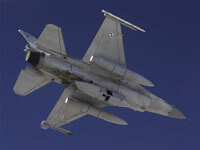 In this way, for example, the results of a RAPTOR mission could be transmitted to a forward operating base with sufficient speed to be of real value to troops on the ground. In order to provide the most responsive service in to the users of its products, UTC Aerospace Systems provides operational support where it is needed. As an example, U-2 operations are supported by company technicians based at Beale Air Force Base and other locations, and the RAPTOR programme is supported by a team permanently based at RAF Marham.